Last night I announced on My 80s Radio Show the lucky winners of tickets to see Owen Paul this Saturday (5th May) in Herne Bay. They are: Tony Dalli, Beverley Poole, Sheryl Pratt, Phillip Robinson and Timm Rutland. Big thanks to all those who entered the giveaway. Tickets can still be purchased for the event directly from the King’s Hall. I will be there to see My Favourite Waste of Time so if you are coming along to the gig, do come and say ‘Hi’ to me. You never know, I might even be taking requests to play on My 80s! Get ready for some 80’s fun in Herne Bay! The My 80s radio show has got 5 pairs of tickets to see Owen Paul at King’s Hall to give away. Simply like and share this Facebook post or like and retweet this Twitter post to be in with a chance of winning. For those 80’s fans who don’t use social media, just drop me a line using the contact form on my website. Closing date for entries is midnight on Friday 20th April. 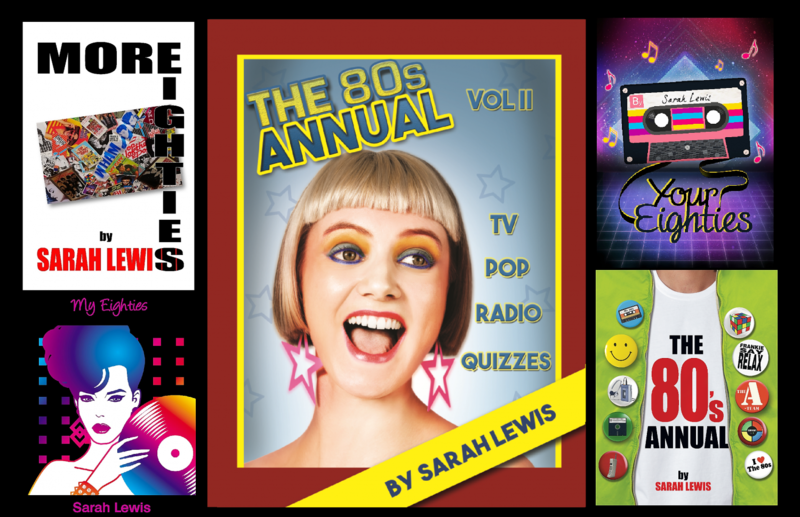 Winners will be notified shortly afterwards and also announced on My 80s on Sunday 29th April. Good luck! It has been a while since my last blog post as I have been kept busy with the My 80s radio show for Mad Wasp Radio. Following the popularity of the Christmas show’s Favourite Five, which was chosen by a listener, it was recently decided that more listeners should have the opportunity of sharing their choices. Therefore, starting this month, the Favourite Five in the last show of every month will be selected by a listener. If you would like to share your Favourite Five 80’s tracks, and chat about them on air, just let me know what you think was the worst thing about the Eighties. It can be anything … fashion, music, TV, a world event … you decide, and let me know via Facebook, on Twitter or my website. Each month I will choose a listener to come on My 80s and talk about their Favourite Five and, of course, play the tracks on the show. The only criteria for the songs you choose is that they must have been released during the Eighties, but they do no have to be Top 40 hits, and they can be album tracks. The rules may be simple but choosing the tracks is another matter. I know this from personal experience because this week I am choosing my Favourite Five. This Sunday’s show airs two days before my birthday, so I thought I would treat listeners to my my five all time favourite songs from the decade. I never knew what an agonising, decision-making task it would be! Joining me on this week’s show, and turning the tables on me by interviewing me, is Owen Paul. So, to hear not only my top tunes but Owen Paul in the DJ seat, listen in from 7pm on Sunday.